I have to bring my car in, again, minor repairs. So I will see Eyal, Haim, Akram and Shaby, and the gang. Yes, I know the staff by name now. I guess that means I have been to the mechanic/Garage a bit too much. Such is the cost of owning a car. Same goes with a house. Whenever an "unexpected" expense comes up my mom will say, "home owners cost". It is her way of saying be grateful that you own a home. And owning a home has its costs. The key word is maintenance. Training in and around a car, Moshe's car, going strong since 2006 but with regular maintenance required. Maintenance is key. There is an old saying, "If it ain't broke , don't fix it". It is a wrong saying. I am told that in Africa there are certain tribes that never had the term "maintenance" as such it impacts their adaptation into modern society. The concept is foreign to them. As such they drive their cars until they burn out. This is a very costly way of living. If we do not maintain our car, vehicle, or motorcycle, it will end up costing us much more in the long run. A small problem will grow into a large problem and our expenses will mount. But that is only money. Fact is that if we do not maintain our car with regular care, we are putting our lives and the lives of our loves us at great risk. Krav Maga is about self-defense. That includes ALL aspects of self-defense. If you have a co-worker who is a chain smoker, he is killing you slowly and you have a right to defend yourself. If you have a car that is not properly maintained that too can kill you. Defend yourself by bringing the car to the garage/mechanic and get it looked after. Regular maintenance of your car can save lives. Some people earn a black belt and they feel, that's it. I have done it. Soon their ego goes to their head and they branch off on their own. I use the word branch because that is all it is. They have a branch but they are cutting themselves off from the roots. They see only the branch, but they are missing the roots. Cut off the branch from the tree and it soon dies. Your teacher is your roots. With IKI and with many systems you must remain up to date for your teachers' certification to be valid. That is the purpose of our On Line program. You are all over the world, we have instructors in 35 countries and we are followed in about 150 countries. I can not be in all those places at once. With our on line program I send out clips nearly every day. Something new happens in Israel - You will know about it. It is like being here in our training center. A new idea comes up, we film it and send it out to you. Krav Maga Maintenance. You've got to have it. Things change, new situations emerge, Maintenance. Having a black belt issued years ago is nice but if you do not maintain your skills, if you do not upgrade your knowledge, well then....it is only of historical or sentimental value. Something written in stone cannot change. Something written in ink is difficult to change. Choose the pencil. You can erase and update, upgrade. 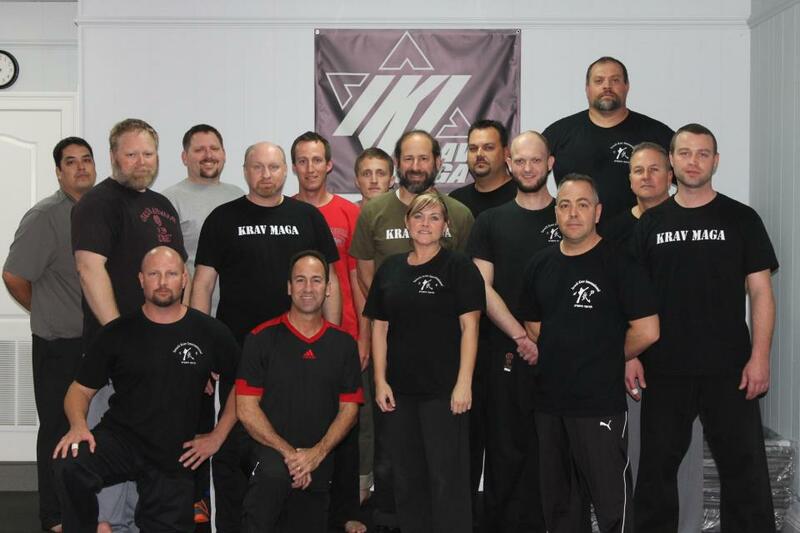 IKI Instructor, second dan black belt, John Liptak hosts 4 IKI seminars each year. As such he is always on the cutting edge of Krav Maga. Do not be left behind. Do not be caught teaching last years' Krav Maga. IKI Krav Maga On Line Distance training. Your Krav Maga maintenance.